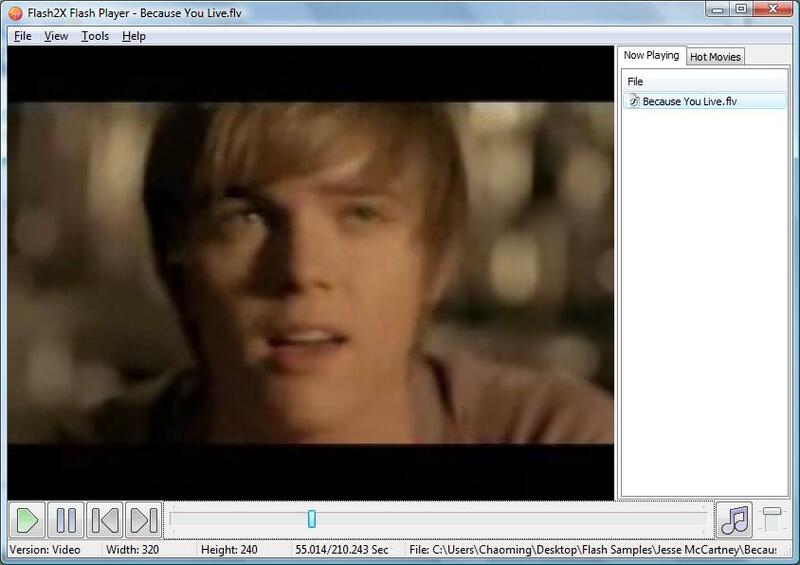 Flash2X Flash Player is a free flash player which playbacks both flash (SWF) and flash videos (FLV). You can play your favourite flash and flash videos, create playlists and enjoy them with this powerful free flash player. Flash2X Flash Player supports full screen mode and normal window mode. You are allowed to control the progress of playback, take screenshots and view information of flash files. Flash2X Flash Player is absolutely free! Flash2X Flash Player is absolutely free! You do not need to pay to download and use it, and there is no limitation of using it. You may like to download Flash2X Flash Hunter as well, a software which is able to save flash from web and download Youtube videos. Qweas is providing links to Flash2X Flash Player 3.0.2 as a courtesy, and makes no representations regarding Flash2X Flash Player or any other applications or any information related thereto. Any questions, complaints or claims regarding this application Flash2X Flash Player 3.0.2 must be directed to the appropriate software vendor. You may click the publisher link of Flash2X Flash Player on the top of this page to get more details about the vendor.